Happy Valentine’s Day, my style mavens! I personally love this holiday, because it is my birthday. However, many have a serious love-hate relationship with today and all that it implies. Some find it to be too commercial, other ramble about the horrifying history of the holiday, but yet there are some look forward to the day all year. Regardless of what side of the fence you sit on, one thing we can all agree on is that whether you are going on a romantic date, or meeting your friends out for the newly-dubbed Galentine’s Day celebration, the day is about treating yourself to the company of those you love. Happy Valentine’s Day, my style mavens! This is an amazing style.. it takes me back to ’90… those shoes are adorable.. Loving the sunglasses! once again – bravo! OMG hope you had a fabulous and lovely day of hearts and birthday. Happy to share February as it was also my birthday on the 16th! Hope to see you soon at the blog! I love those lovely kitten heels btw! Ah, this outfit is perfection. 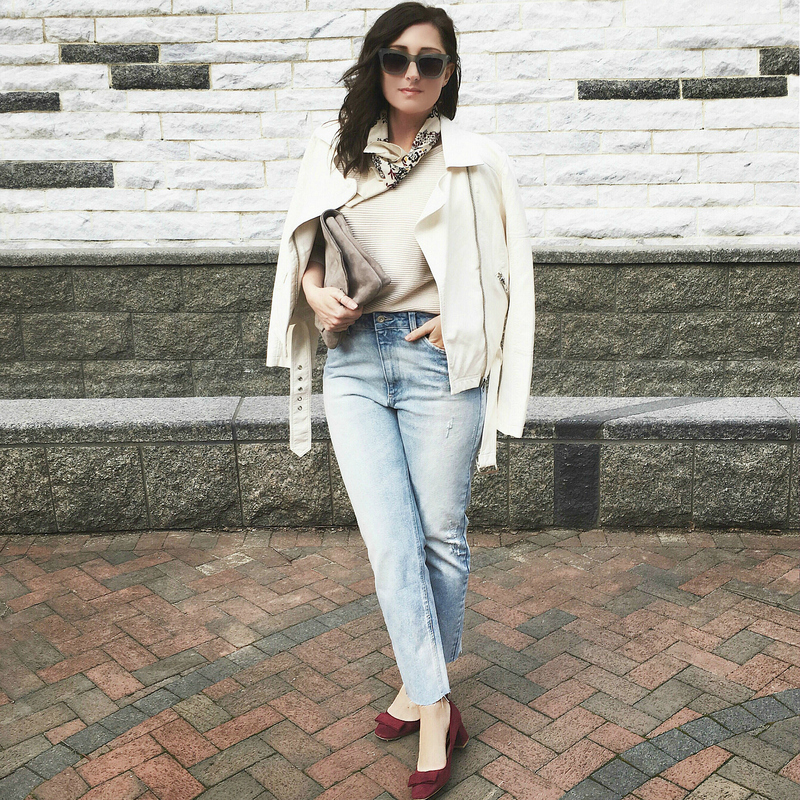 Love that biker jacket, the distressed jeans, the scarf… so lovely!